Learning a new language might be difficult especially if a person is only used to a single style. The world is growing at a very faster rate economically, and there is a need for learning additional languages to enhance better communication and improve trade between diverse members. The Korean language is one of the world’s most essential since it is the official language of almost three countries. Korean Hangugeo is spoken in North Korea; South Korea and China´s Yanbian as the official language. The speech is also famous among the Koreans in the diaspora. Koreans are a good number in population in countries like Uzbekistan, Japan, and Canada. The language is very complex and can be challenging to learn, but it is essential to be part of the community speaking the word since it is rich in historical culture. 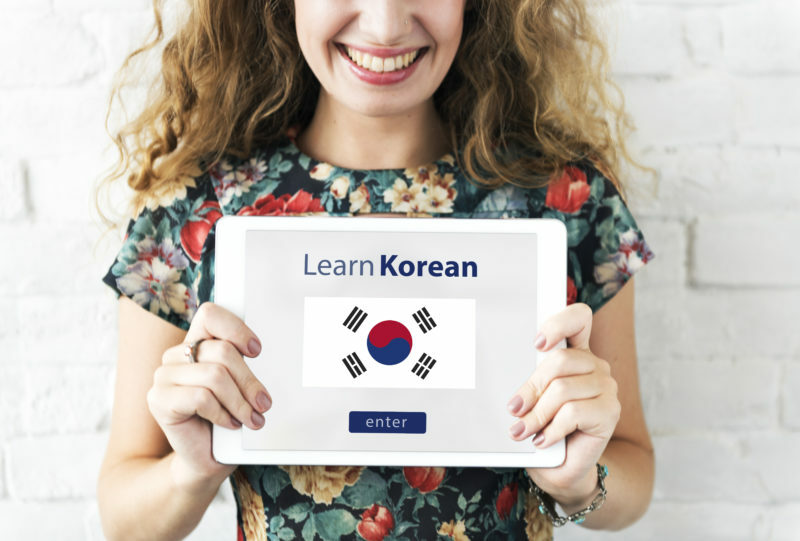 This article is going to focus on simple steps that can help a person learn the Korean language in fifteen minutes. A person interested in learning Korea should start by focusing on learning the alphabet since this can help mainly to people who want to advance and proceed to write and read the language. Korean alphabet is simple but might be very complicated to individuals who are used to the Roman alphabet for the better part of their lives. Hangeul alphabet came during the Joseon Dynasty. The alphabet consists of twenty-four letters comprising of fourteen consonants and ten vowels. The number of letters can increase to about forty if all the diphthongs and double consonants are included. Korean alphabet is also easy to learn since there are Chinese characters that are involved and represent words that initially came from the Chinese language. Chinese characters are not overused in the Korean language, and this is interesting as it makes it easy for those who find it difficult how to learn Korean hangul since they can learn Korea without problems. In countries like North Korea, Chinese characters are not in the Language. Counting is the basis of learning any new language and a person interested in learning Korea should first start with learning how to count in Korea. Korea uses two sets of cardinal numbers depending on the prevailing situations. The two games of cardinal numbers are the Korea and Sino-Korea which are all considered to have originated from the Chinese hence may contain Chinese characters. Every person interested on how to learn Korea quickly should, therefore, learn count in Korean form starting to ten. Korea has a broader vocabulary, and this is interesting as it makes it easy to learn to speak the language. Everybody with the interest of learning the language should move automatically to familiarizing themselves with the vocabulary immediately after learning how to count. Being familiar with the vocabulary can help a person to learn quickly. There are few steps that a person can take to help them learn the vocabulary quickly; the first step is thinking of any English word and start focusing on how the same word can is said in Korea. Another level that might not be easy in fifteen minutes but is worth giving a try is making writing in Korean labels on items that you can see most of the time especially books, phones, and if you are around the house place them on household items such as mirror and table. Another simple, quick step of learning the Korean vocabulary is learning word phrase either from English to Korea or from Korea to English, and this can make learning easy and faster since it gives a better chance of saying the words without difficulty. These are cute conversational phrases that can help an individual start conversation easily with a person speaking Korean language without any difficulty. There are very few words that every person should start learning to help them start a conversation easily with people. Greeting people is one of the first step people should learn so that they can find it easy to talk to Koreans hence a learner should learn how to say hello to people in the Korean language. Appreciations are also significant, and this makes it essential to learn how to say thank you in the Korean language. Introducing yourself is necessary especially if you aspire to meet new people, you should, therefore, determine how to say words like my name is and what is your name in Korea to help interact with others easily. The Korean language differs from English in the forms of polite speech. The verbs endings in Korea change depending on the age and rank of the person you are addressing. The verbs conclusions may also change depending on the social settings; therefore, it is vital to learn forms of formal speech that can help you know how to address leaders’ children and age mates. Forms of official discourse will help to make your conversation easy with everyone. It is also good to note that the Korean language has formality functions that can help you understand the formal speech easily. The three primary forms of formality are the; informal used while addressing age mates, Polite for treating people older than you and honorific which is mainly in the army and news sectors. There are some other aspects of language that you should consider while studying the Korean language. These aspects are grammar and punctuation. These can help you communicate the words fluently without confusion. In Korea, the verb comes at the end of the sentence. You can omit subject of the sentence if it is known to everyone. Adjectives can also function as verbs in the Korean language. The report has clearly stated the most important parts that should be given priority while learning the Korean language. It is essential to know the various media or channels that can help you learn efficiently. There are very many ways that you can start learning, all you have to do is find a media channel or ways that can help you learn very quickly. The first easy way is to see a native speaker with the Korean origin. Since you already have specific areas that you need to focus on, it will be easy and quick to learn the language without any difficulties. If it is not easy to get a person fluent in the literature, a person can consider other channels such as YouTube, Korean messaging apps, and Google networks. Watching Korean films and cartoons can also enhance learning ability in a short time. Listening to Korean radio is another better way of learning the language without much struggle.